It’s the perfect time of year for a hearty sandwich that captures the flavors of fall. 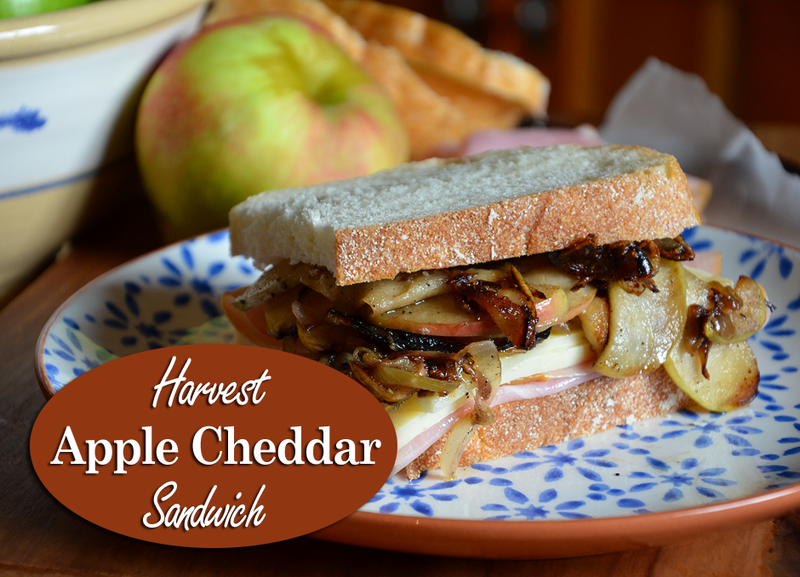 This tasty harvest lunch idea features smokehouse ham, apples, shallots, a spread of apple butter, pinch of nutmeg and Cabot Seriously Sharp Cheddar cheese (my favorite!). Gather your ingredients and melt a Tablespoon of butter in a skillet. Saute one apple, sliced with skin on, for about two minutes. Thinly slice two shallots and add to the skillet. Saute apples and shallots until tender. Add a pinch of nutmeg to the ingredients (about 1/8 teaspoon), and freshly cracked black pepper to taste. While the apples and shallots are cooking, spread a Tablespoon or two of apple butter on the insides of two slices of your favorite crusty bread. 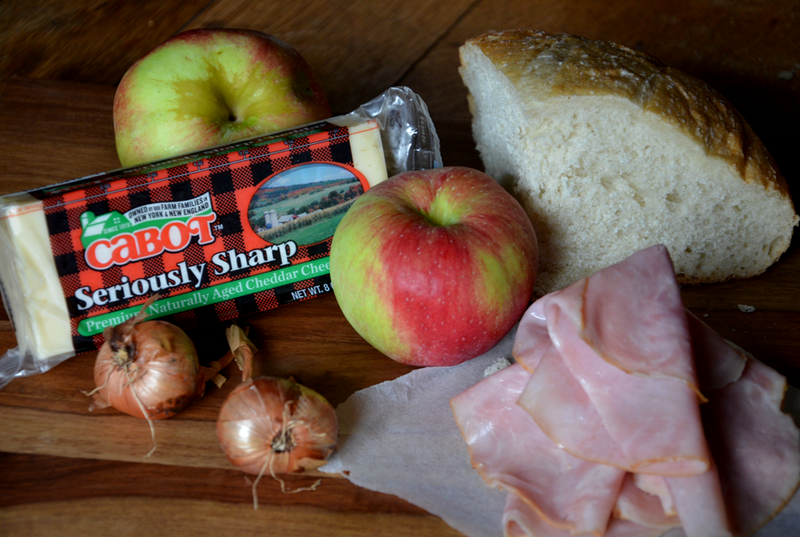 Layer 2-3 slices of smokehouse or off-the-bone ham, followed by a slice or two of Cabot Seriously Sharp Cheddar. 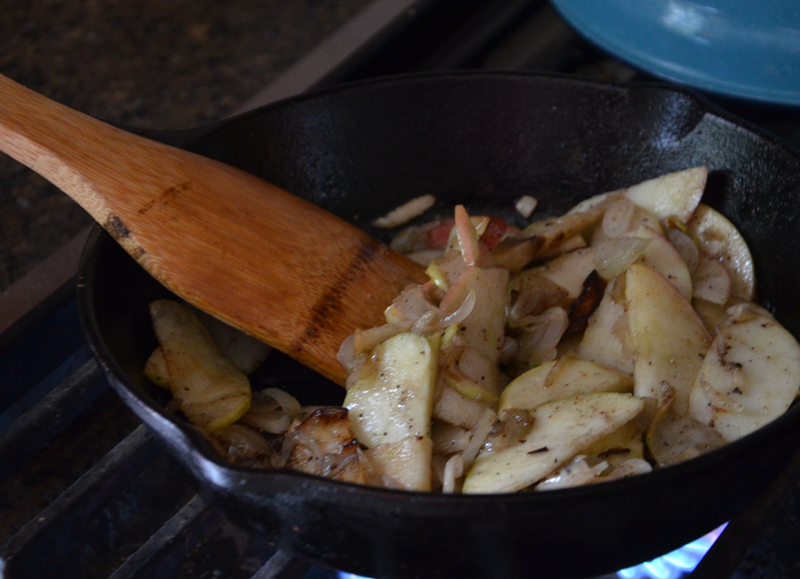 Top with sauteed apples and shallots. The next time you break for lunch, take an extra minute or two to prepare this simple sandwich overflowing with harvest flavor. It’s delicious — and who doesn’t need a little afternoon inspiration, right? Eat up, good friends. There’s no time to waste on PB&Js! That looks divine! I think I’ll add a smear of Dijon to mine! 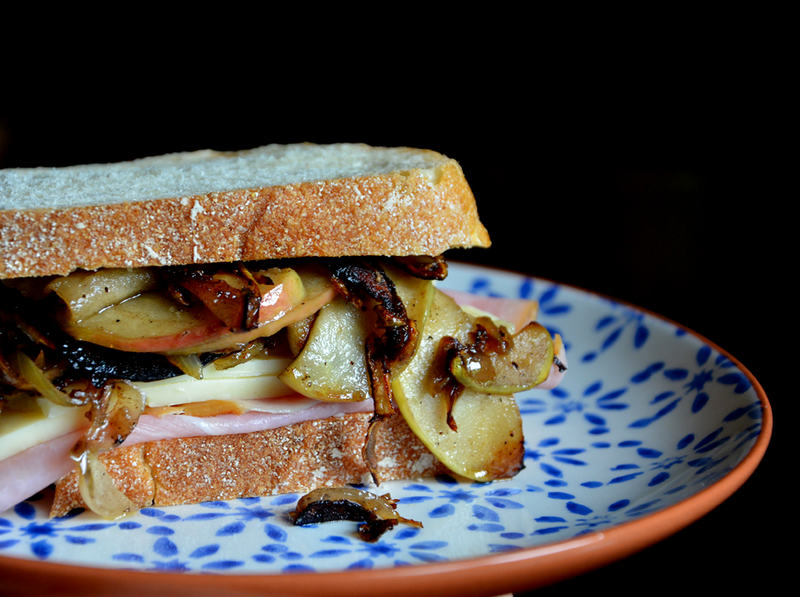 That must be the most perfect fall sandwich ever…and such gorgeous photography!